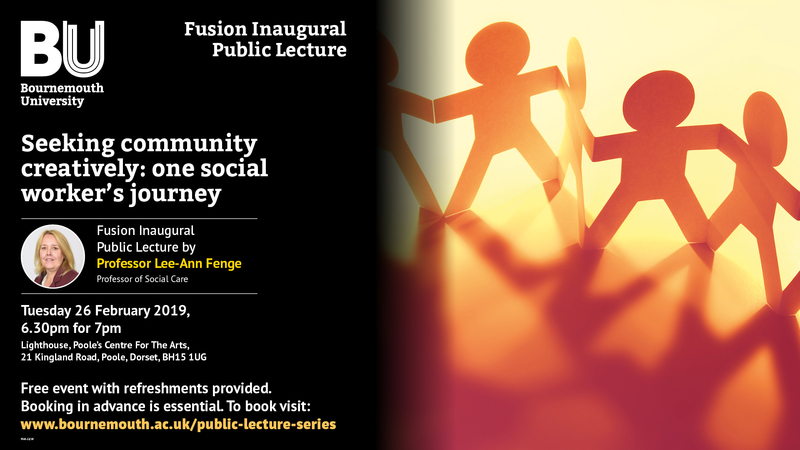 Professor Lee-Ann Fenge will use a narrative approach to explore identity, belonging and connectivity to ‘place’ in an exploration of the meaning of community and family and their resonances across the life course. Her personal narrative – from childhood, through social work practice to present-day academic research – will illustrate how notions of identity and connectivity remain central to her thinking and her outputs. Discussion will include consideration of the role of ‘voice’ in research and the mechanisms that can ‘silence’ it. Performative Social Science and participatory approaches to research leading to co-production will be considered. She will illustrate this by using excerpts from a number of projects that she has undertaken creatively, including film and poetic inquiry. Professor Lee-Ann Fenge began her career as a social worker, before moving into academia over 20 years ago. She is Director of the Research Centre for Seldom Heard Voices and has been involved in a variety of projects linked to the use of participative methodologies with older people, youth, and the homeless specifically linked to social inclusion and the voice of underrepresented groups. A 'Truly Madly Baroque' performance from this outstanding, highly creative quartet.